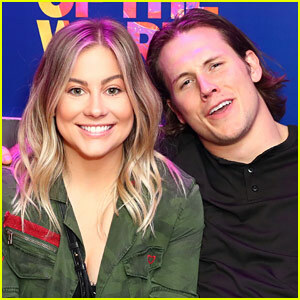 Olympic gymnast Shawn Johnson and her husband, Washington football player Andrew East, are expecting their first child together! “@theeastbaby … we cannot WAIT to welcome you to the world and shower you with love. @andrewdeast WE DID IT!,” Shawn captioned a post on her Instagram account. The couple even set up an Instagram account for their new baby. The news comes 18 months after Shawn and Andrew found out they were pregnant but they suffered a miscarriage. Congratulations to Shawn and Andrew on the wonderful news of their new addition! Jason Aldean and his wife Brittany couple up to host the Vera Bradley x Blessings in a Backpack elementary school charity event! 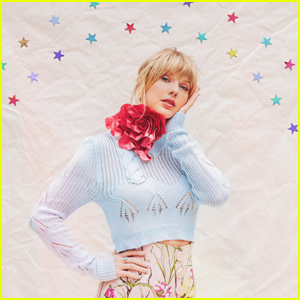 The 41-year-old country singer and the 30-year-old pregnant cheerleader stepped out for the giveaway and carnival philanthropy tour at Shwab Elementary School on Monday (August 27) in Nashville, Tenn. They were joined by Olympic gold medalist Shawn Johnson; her husband, football player Andrew East; and The Voice contestant RaeLynn. The group partnered with the brands in donating 25,000 backpacks filled with food for underprivileged kids and their families across America. The school’s gym was transformed for students, who were treated to a kid-friendly memorable afternoon filled with games and take-home prizes including a pirate bounce, ring toss, skee ball, whack-a-mole, life-size connect-four, inflatable obstacle course, mini golf, double shot basketball, two-minute drill football, sand art, spin art, and more. Everyone enjoyed colorful cotton candy and popcorn in between playing the carnival activities. 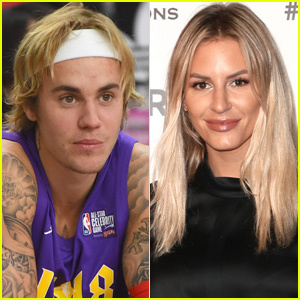 The 25-year-old Olympic gold medalist and Dancing With the Stars competitor got candid with fans in an emotional YouTube video on Saturday (October 21). “We feel like a lot of people go through this, so we want to share it,” Shawn explains. 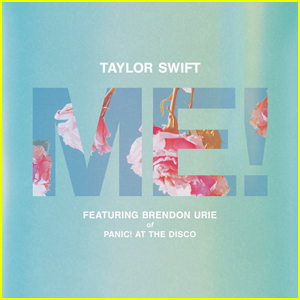 The video details everything from the excitement surrounding the unexpected positive pregnancy tests, to announcing the news to Andrew via a pair of Converse baby sneakers, to the doctor’s visit after Shawn experienced some bleeding. “We’ll use them again, of course,” she adds about the sneakers. 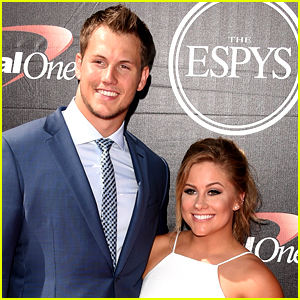 Shawn Johnson is a married woman – she just tied the knot with Oakland Raiders football player Andrew East! 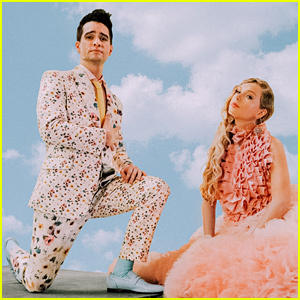 The 24-year-old athletes got married on Saturday afternoon (April 16) during an intimate ceremony in Nashville, Tenn. Shawn wore a stunning Olia Zavozina gown. Shawn and Andrew were surrounded by family and friends, including Shawn‘s Olympic teammate Nastia Liukin and her fiance, Matt Lombardi, and Kansas City Chief’s teammates Dustin Colquitt and Nick Williams. “It just got real… @shawnjohnson #marriagelicense,” Andrew shared on his Instagram just the day before with a super excited Shawn by his side. Hilary Swank & Robbie Amell Honor Change Makers at Sports Humanitarian of the Year Awards! Hilary Swank shows off her super fit figure while attending the 2015 Sports Humanitarian of the Year Awards held at the Conga Room at L.A. Live on Tuesday (July 14) in Los Angeles. 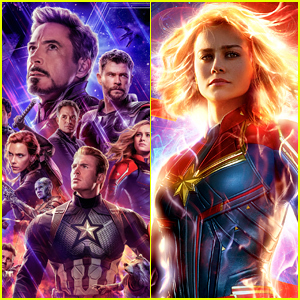 The 40-year-old actress was joined by Robbie Amell and his fiance Italia Ricci, Salem star Shane West, gymnast Shawn Johnson, and Mel B with her husband Stephen Belafonte at the event presented by ESPN and PlayStation. ESPN will showcase highlights from the evening as part of a 30-minute special on Thursday (July 23) at 8:30pm ET – Make sure to tune in! FYI: Hilary is wearing a DVF jayme cut out embellished dress. 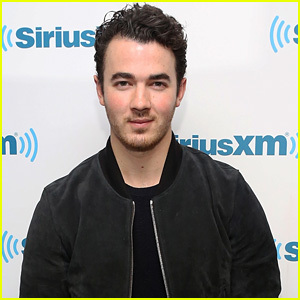 Kevin Jonas hits up the SiriusXM Studios for an interview on Tuesday morning (November 4) in New York City. 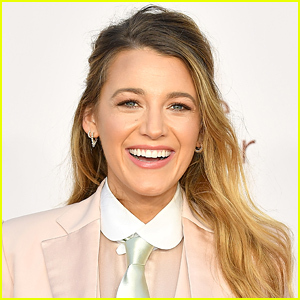 It was just revealed that the 26-year-old singer has joined the season seven cast of Celebrity Apprentice, which premieres on Sunday, January 4 @ 9PM on NBC! “It’s official friends I am a contestant on @ApprenticeNBC playing for an amazing charity @ConvoyofHope get ready,” Kevin tweeted.